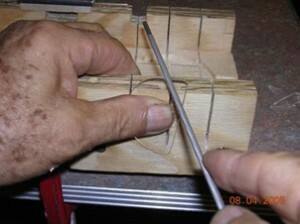 handed do the exact opposite. 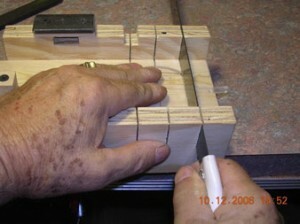 the mark on the jig. 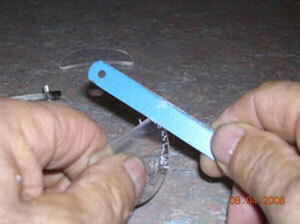 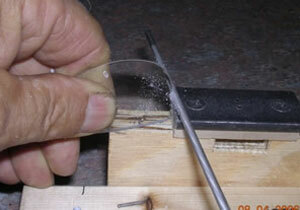 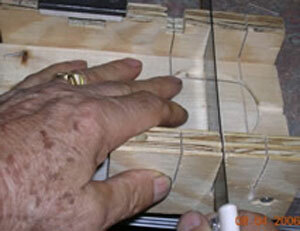 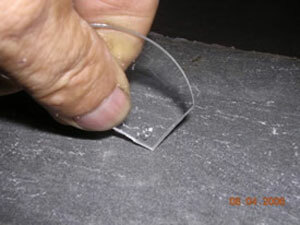 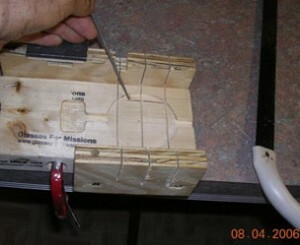 Use the center slot to cut the lenses in half. 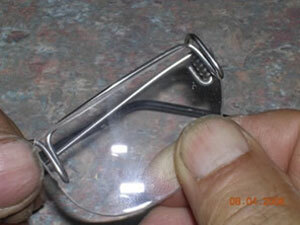 notches to hold the lenses in the frames).